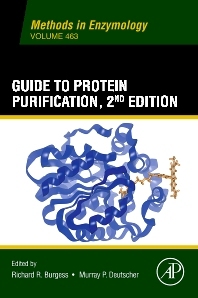 Guide to Protein Purification, Second Edition provides a complete update to existing methods in the field, reflecting the enormous advances made in the last two decades. In particular, proteomics, mass spectrometry, and DNA technology have revolutionized the field since the first edition’s publication but through all of the advancements, the purification of proteins is still an indispensable first step in understanding their function. This volume examines the most reliable, robust methods for researchers in biochemistry, molecular and cell biology, genetics, pharmacology, biotechnology and sets a standard for best practices in the field. It relates how these traditional and new cutting-edge methods connect to the explosive advancements in the field. This "Guide to" gives imminently practical advice in order to avoid costly mistakes in choosing a method and brings in perspective from the premier researchers while it presents a comprehensive overview of the field today. University of Connecticut Health Center, Farmington, Connecticut, U.S.A.